With a traditional tongue and groove system our Engineered Timber can be installed by nail, glue or staple. Alternatively, you may choose to use the floating installation method. Should an underlay be required we recommend Dunlop Advantage 3. If using the floating installation method we recommend Dunlop Aquacoustic as it acts as a moisture barrier. Download the Installation Instructions for a step-by-step guide. 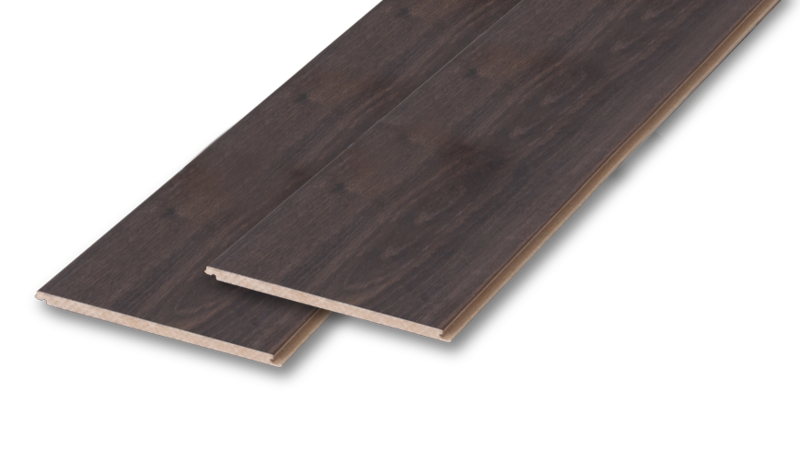 Our Engineered Click Timber floors use a 5G click locking system for easier installation that is twice as fast as older systems. The boards come ready-to-go with a plastic tongue that just clicks into place for a stronger, more reliable floor. They can be installed using either the floating or glue-down method. We recommend the use of a damp or dry cloth to keep your engineered floors looking brand new and your home beautiful. If you require a cleaning agent, Heartridge recommends using a spray mop with the Bona Floor Care range of products. Our products are covered for a very competitive warranty period. To ensure the optimum performance of your floor and full coverage of our warranties, please adhere to all instructions relating to subfloor, installation environment and method, and ongoing care and maintenance. Great for wet areas such as bathrooms, but is not to be installed in areas that have a potential for flooding, such as saunas or outdoor areas. Simple enough for even a DIY install. 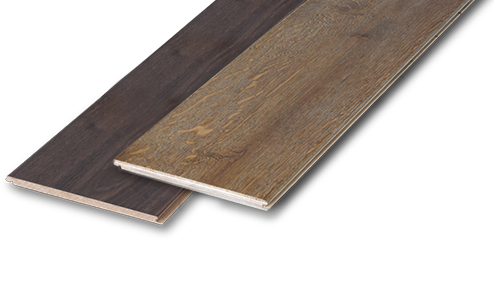 Planks are all the same length but should be laid randomly across the floor to create the best effect. Should an underlay be required we recommend Dunlop Advantage 3. 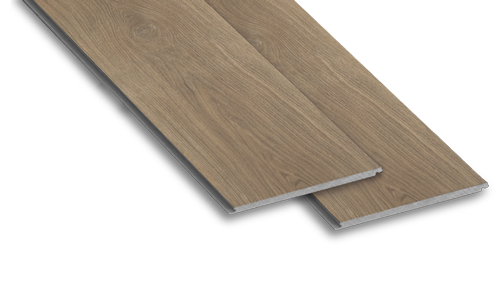 Our Luxury Vinyl Plank | Click floors require no glue and are equipped with an angle lock to securely join each plank together. A DIY installation is possible with our step-by-step instruction guide for a floating installation. Consider using Heartridge Smoked Oak Scotia to finish off the perimeter of the floor. Clean using a damp mop or cloth and avoid leaving excess moisture on the surface of the floor. Do not use polishes, solvents (e.g. methylated spirits or similar), abrasive cleaning materials or harsh detergents. Heartridge recommends using the Bona brand of floor care products for cleaning. The Bona Stone, Tile and Laminate Cleaner is ideal for use with the Luxury Vinyl Plank range. The floating installation method requires no glue and the drop lock system makes for a simple install. For your moisture barrier and underlay needs, we recommend Dunlop Aquacoustic, as this product will provide a 200 micron polyethylene vapour barrier. Consider using Heartridge Smoked Oak Scotia to finish off the perimeter of the floor. Simply wipe with a damp mop or cloth but avoid leaving excess moisture on the surface of the floor. Heartridge recommends the Stone, Tile and Laminate Cleaner from the Bona Floor Care range to clean your Laminate floor. No need to use polishes, solvents (e.g. methylated spirits or similar), abrasive cleaning materials or harsh detergents. 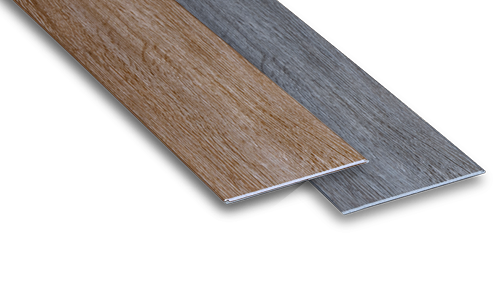 Our Rigid Vinyl Planks use an integrated, user-friendly 5G-i locking mechanism for speedy and secure installation. Planks click together tightly with no gapping. No adhesives are required; all you need is a rubber mallet, and three gentle taps on the end join to lock them in. Clean the floor to remove loose dirt, grit and dust using a Bona Dusting Pad or soft broom. If using a vacuum cleaner ensure the cleaning head has a soft brush and will not scratch or damage the floor surface. Use a Bona Spray Mop with Bona Stone, Tile and Laminate Cleaner to clean the floor surface. Dunlop Flooring recommend that Bona Floor Care products are used to clean and maintain the floor. Got a question or query? Send us a message and say hello, we'd love to help.